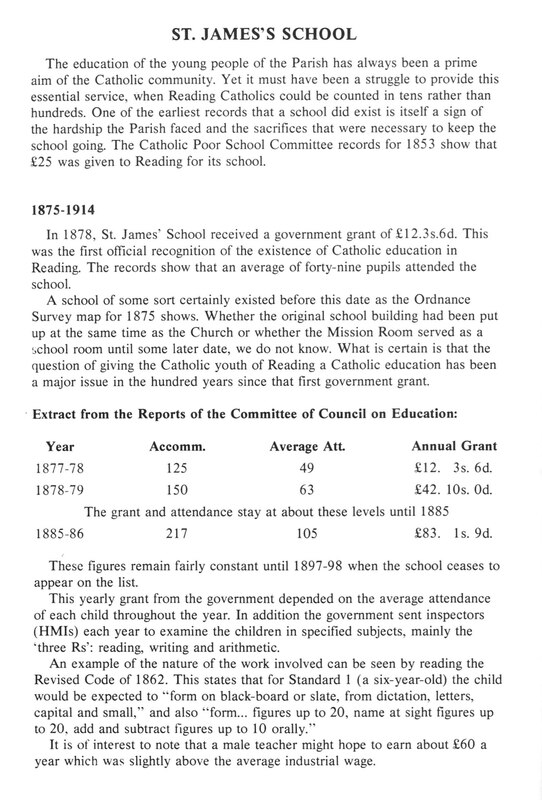 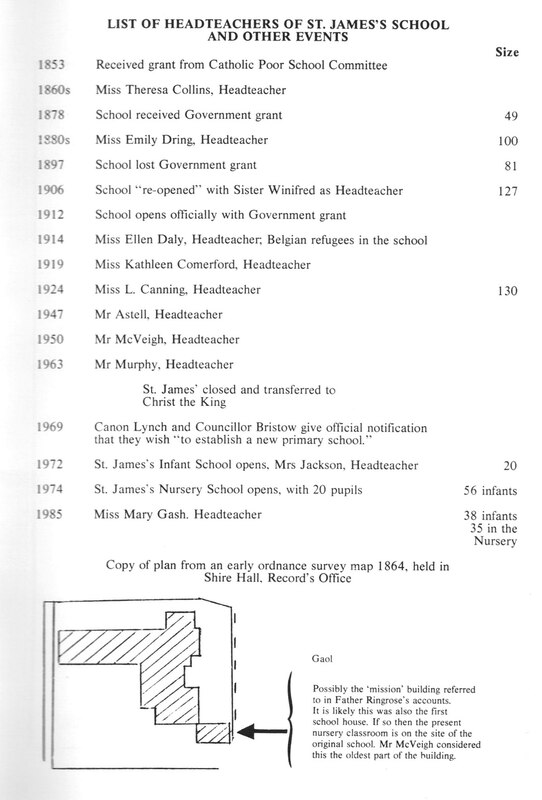 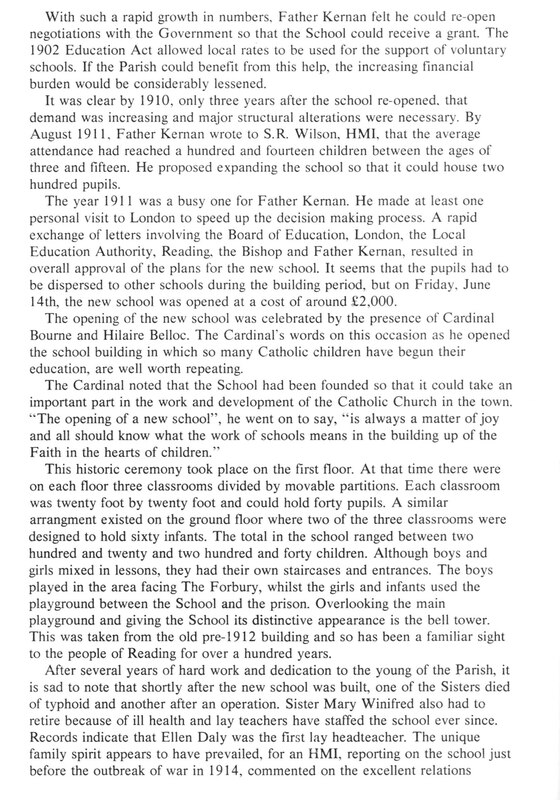 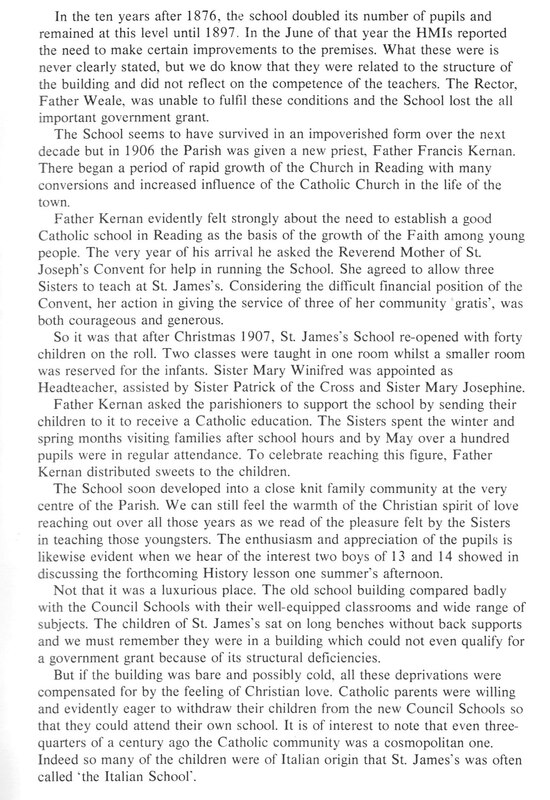 There is a book published by the Caversham Bookshop and St James Parish – 1987 – titled “St James Catholic Church & School in the Abbey Ruins Reading – a brief history”. 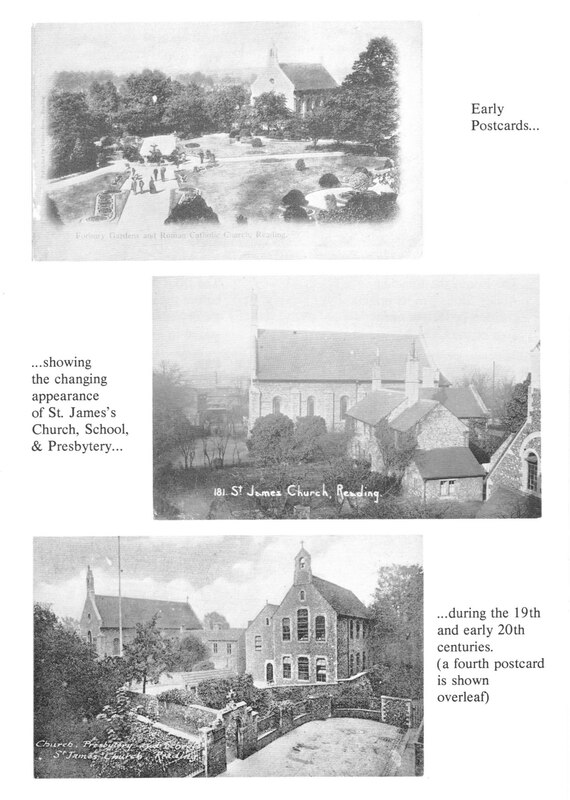 This book was written by John Mullaney who is currently a member of the St James Archive and Heritage Group. 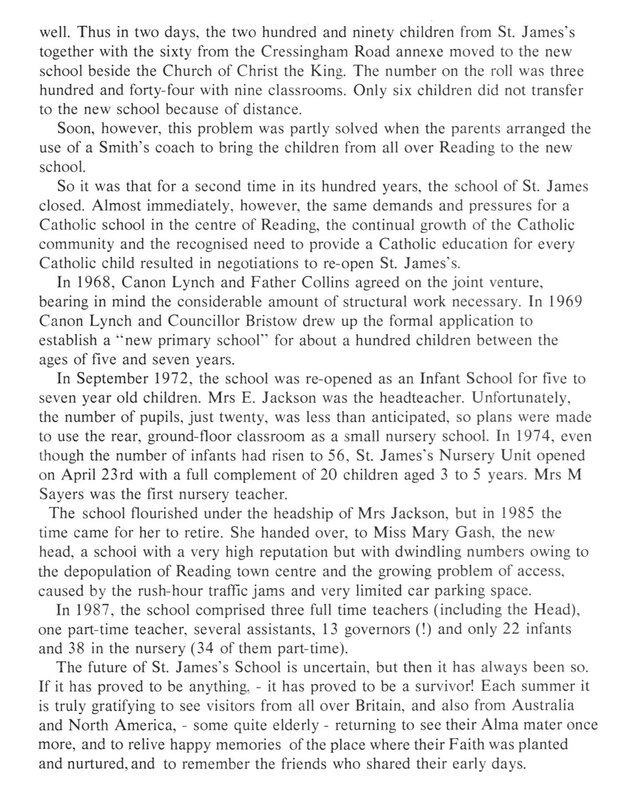 John has kindly agreed for me to publish the following pages from his book here on this web page. 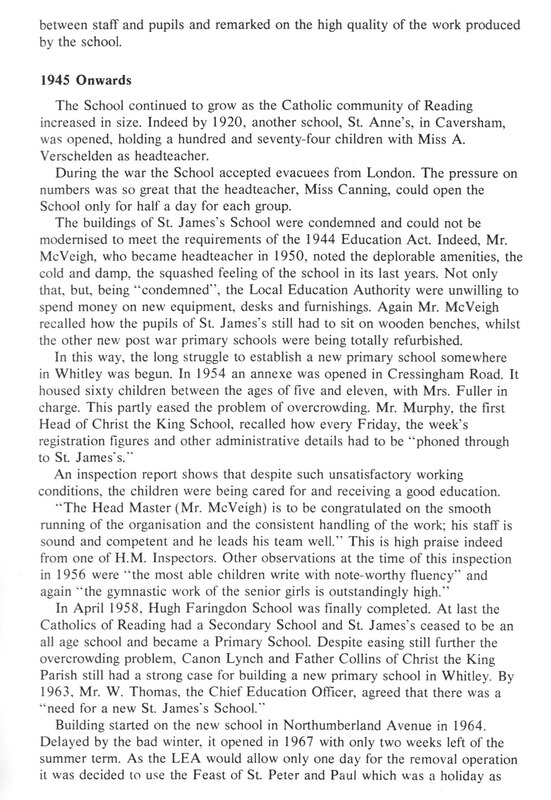 Again – many thanks to John Mullaney.